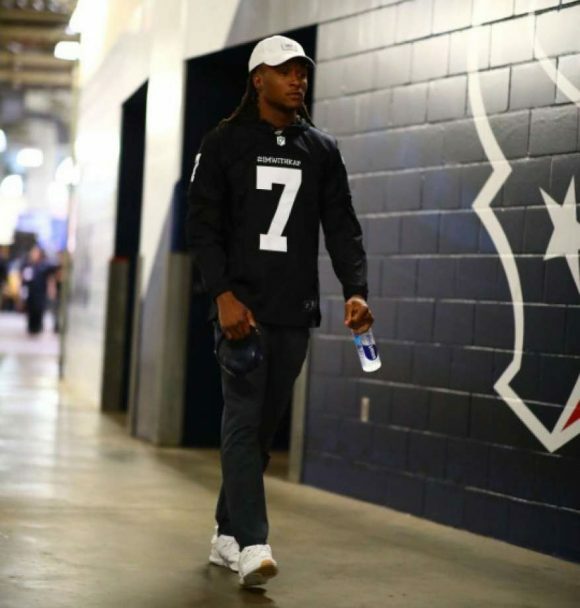 Texans All-Pro wide out DeAndre Hopkins is making a statement, as today when he showed up to NRG Stadium for the Texans game with the Cleveland Browns, he was wearing a jersey honoring free agent quarterback Colin Kaepernick. Hopkins wore a black and white jersey with the words, “#IMWITHKAP,” and posted the picture on Twitter. The love that Hopkins showed got returned in a tweet back from Kaepernick.